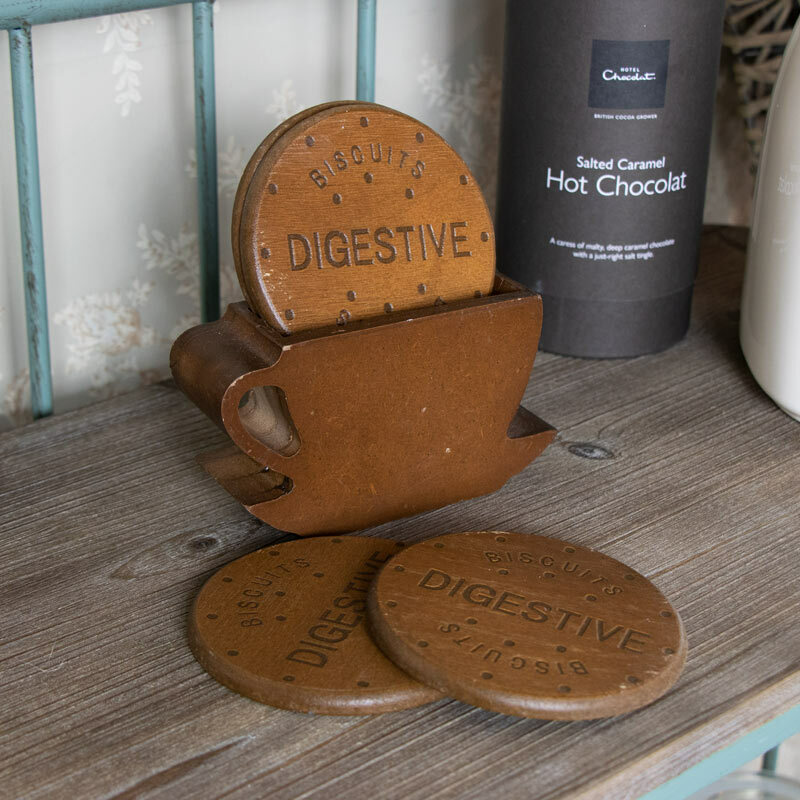 Bring the ‘fun factor’ to your home with this set of 4 quirky wooden biscuit shaped coasters with a wooden holder. Practical, stylish and fun these will protect your tables and surfaces from hot drinks and spills. 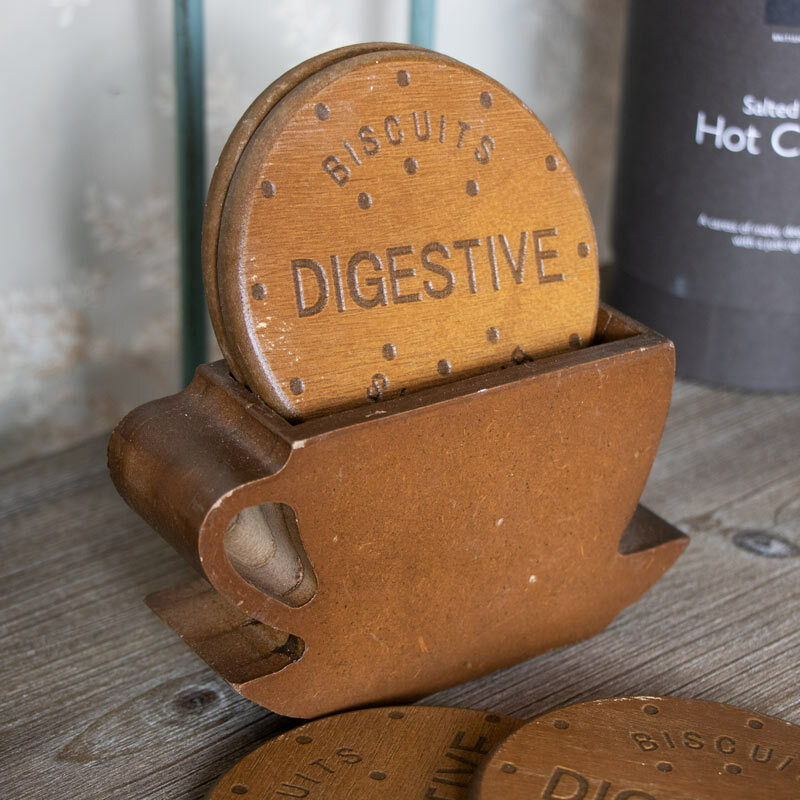 These would also make the perfect gift for your friends or family who just love their biscuits!